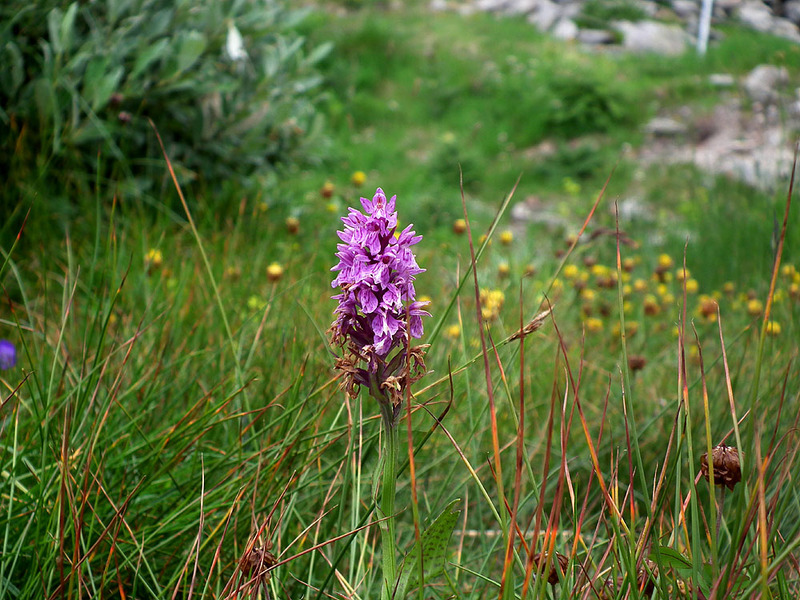 In July we stopped at the side of the road on our way up over the Nufenen Pass and there was a small colony of Dactylorhiza orchids. These are my least favourite group of orchids to try and identify. On the one hand, all the species look the same, and on the other, there is considerable variation of flower colour and pattern within the same species. So far as I can tell, from careful reading of my French field guide and the Swiss online flora, I should identify this specimen as Heath Spotted Orchid Dactylorhiza maculata. Frankly, it looks a lot like Common Spotted Orchid D. fuchsii, but apparently that is the thing you have to be wary of. It seems that in the high mountains D. maculata takes on the appearance, and habitat preferences, of D. fuchsii. Whereas, to me, the Heath Spotted is much, much paler with darker patterning... this looks like the Common Spotted that I know... but much shorter flower spike. But, that was in Norfolk and Suffolk... lower by far... almost at sea level, in fact! And in Scotland, I have seen Heath Spotted that are white with reddy-brown patterning. They are tricky little beasts. I identified this one at least partly by a process of elimination. Some of the reliable pics of Heath Spotted in the Alps are way darker than this even. Colour and pattern are almost no help at all with this group unless you already know the site and habitat. 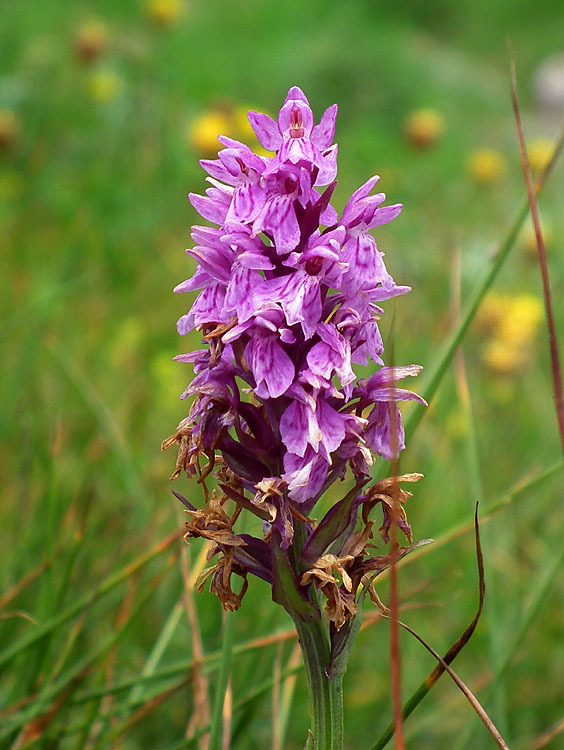 BTW, all the photos on LVN for Dactylorhiza that I linked to have had their IDs confirmed by Richard Bates at Kew, and you can't get more expert than him on this genus. They were all taken at less than 100masl, whereas the one above is at 2000m. I'm not going to bother him with this one because it doesn't really matter if I'm wrong.